SYDNEY (Kyodo) — The New Zealand government on Thursday announced that it formally ratified a $10 trillion Pacific-wide free trade agreement involving 10 other countries. The country’s Parliament passed legislation late Wednesday, with support from all parties except the Greens, paving the way for ratification of the Comprehensive and Progressive Agreement for Trans-Pacific Partnership. 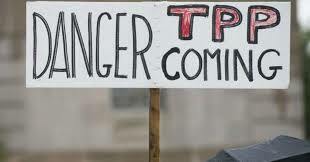 Japan, Mexico and Singapore already ratified the deal, also known as the TPP-11, earlier this year. Trade Minister David Parker said in a statement that the importance of the agreement has grown over recent months "with the rapid escalation of protectionist measures around the world." "New Zealand’s ratification means that from day one our businesses will be able to take advantage of improved trading conditions and lower tariffs," Parker said. Prior to the agreement, New Zealand did not have a trade agreement with Japan, Canada or Mexico. Formerly known as the Trans-Pacific Partnership, the TPP-11 deal was signed in March after the United States withdrew from the original agreement early last year. It will enter into force 60 days after any six signatory countries have ratified the agreement. The Australian Parliament passed legislation earlier this month approving the agreement and is expected to ratify before the end of the year, along with Canada and Vietnam. The other member countries are Brunei, Chile, Malaysia and Peru.